WINE-MAKING TECHNIQUE: Fermentation begins in inox tanks. The wine is then transferred to tonneaux for about 12-15 months where it lays on its own yeasts. The wine is then bottled and left to fine for a further 6 months. 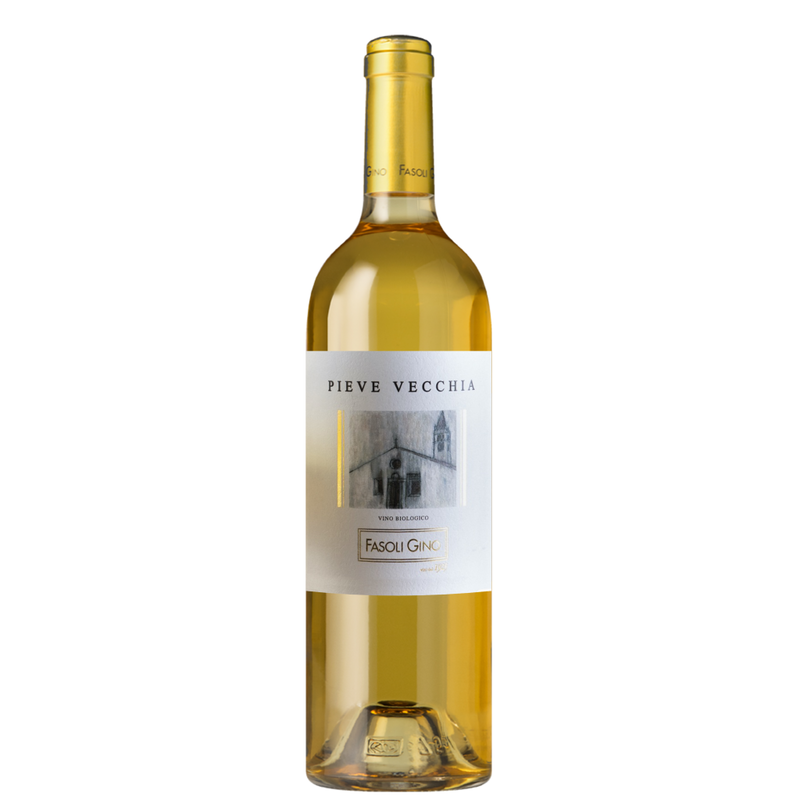 TASTING NOTES: Pieve Vecchia is a vibrant gold colour. Full-bodied on the palate, it is an explosion of fruity flavours with excellent acidity. Notes of almonds and pastries can be felt on the aftertaste.